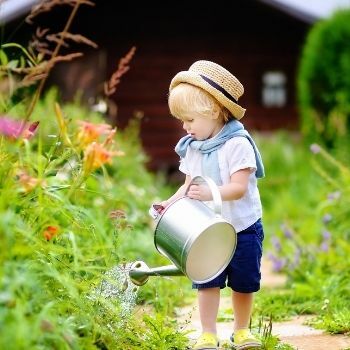 Gardening isn't as difficult as some experts like to pretend. Of course, there's plenty to think about and explore, and the pastime can become engrossingly complicated if you wish. But the bottom line is that plants really want to grow given half the chance. In many ways, it's the gardener's role to provide the right conditions to let nature take its course. One of the most important parts of this starts before a single seed is sown. Drawing up a crop rotation system as part of your growing season's planning is a tried-and-tested way of giving your crops a helping hand toward a rewarding harvest. The basic idea behind crop rotation is to grow each individual crop in a different part of your garden each year. The aim is to maximize the yield and health of the crops you grow in the space you have available. Crop rotation relies on splitting your crops into broad groups according to their needs and habits. There are two main advantages to this. Firstly, plants of similar types grow well together under shared conditions. It's easier to give them exactly what they need when their neighbours want the same things. Just as importantly, different crops take different nutrients from the soil and leave different traces behind. Growing the same plant in the same place year after year will mean your soil steadily deteriorates in both fertility and structure. Crop rotation is an effective way of dealing with both these issues. The most straightforward system relies on splitting your crops into four groups and planting them in a four cycle rotation. Commercial growers can design more complicated systems involving fallow years, green manures, and industry-specific considerations. However, most home growers will see great results with a simple system that splits crops into the following four groups. Legumes - Peas and beans are the most commonly grown members of the legumes group. The major feature of these plants is that they fix nitrogen from the air into the soil, in effect working as a natural fertilizer for the crops which follow in the rotation system. Brassicas - This group includes cabbages, Brussels sprouts, kale, cauliflower, broccoli and their many relatives. 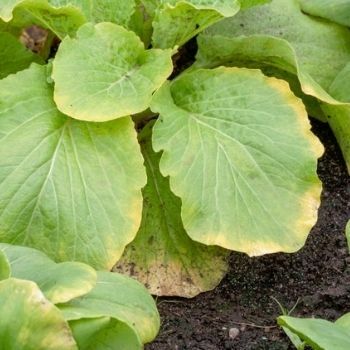 These crops are prone to a disease called clubroot, which builds up more quickly in the soil with repeated growth of the same crop. Roots - This group covers several different botanical families, but each member produces the main part of the crop under the soil's surface. The most common examples are carrots, onions, garlic, radish, and beets. 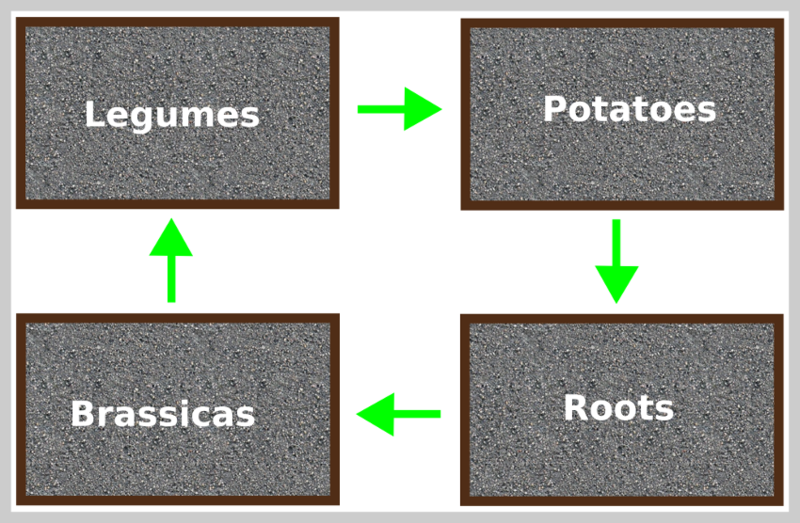 Potatoes - Although potatoes are also an underground crop, they're usually treated as a rotation group on their own. The main reason for this is that harvesting requires heavy digging of the soil, a vital part of their role in the rotation. Close botanical relatives such as tomatoes, chillies, eggplants, and other members of the nightshade family can also be grown in this group as they share similar feeding requirements. Of course, this group system probably doesn't cover all the crops you'll grow. Perennials such as asparagus, rhubarb and artichokes need to be grown in a permanent home completely outside of your rotation system. 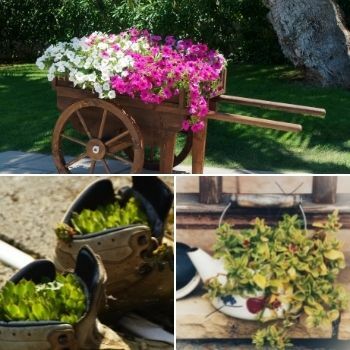 However, fast-growing crops such as salads and annual herbs can be slotted in wherever you have space, as can zucchini, squash, and other members of the curcubit family. They generally won't disturb their neighbours and can even benefit them as part of a companion planting scheme. As already mentioned, grouping plants together by their nutritional needs is an effective way of keeping your soil fertile and healthy without resorting to chemical fertilisers. However, crop rotation offers other benefits too. Crops in the same group tend to have similar sowing and harvesting times, making space management easier. Different crop groups have different depths of root system. Rotation spreads the nutritional load over different layers of the soil from year to year, giving each one more time to recover. Similar crops will benefit from a common watering , mulching, and feeding regimen. Most plants can be afflicted by disease of some type. Plants in the same group tend to be at risk from the same diseases, and it's easier to protect them when they're planted together. 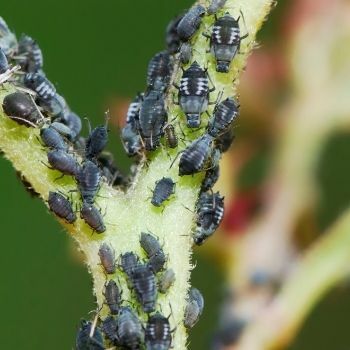 Added to that, any infected debris left behind after an outbreak are far less likely to pass the disease on to the next crop when a different group is rotated into that space. 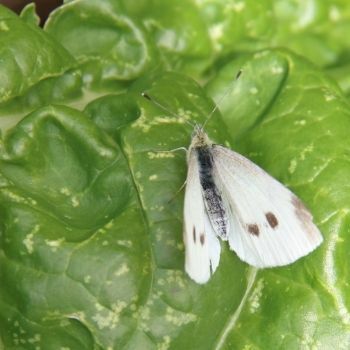 Rotating crops can also help prevent crop-specific pests from becoming established in your garden. To start a crop rotation system in your own garden, draw up a paper plan dividing your growing space into four separate sections. Try to make sure each plot has a decent amount of sunlight, drainage, and wind protection, as far as your situation allows. 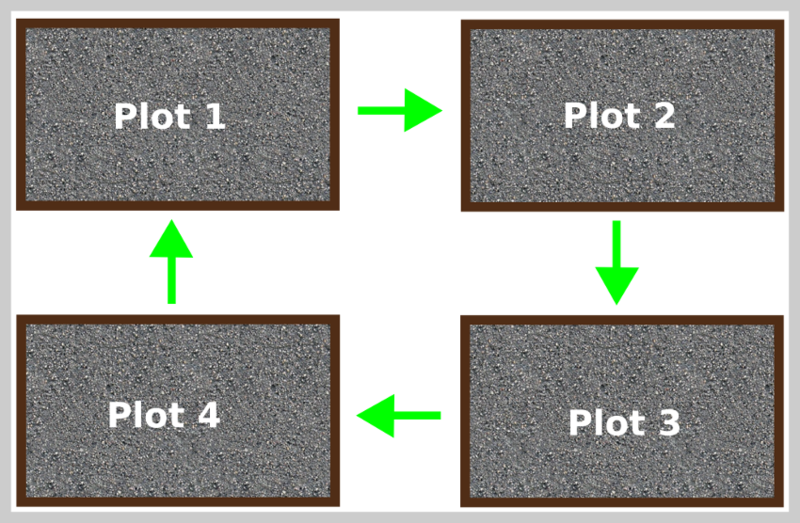 Set aside one plot for each of your plant groups, and for each year of the cycle, move each plot's crop one place down the following list, returning to the start after the potato grow cycle. Planting in this order is important. It works well because in the first stage, the legumes take nitrogen from the air and fix it into the soil. 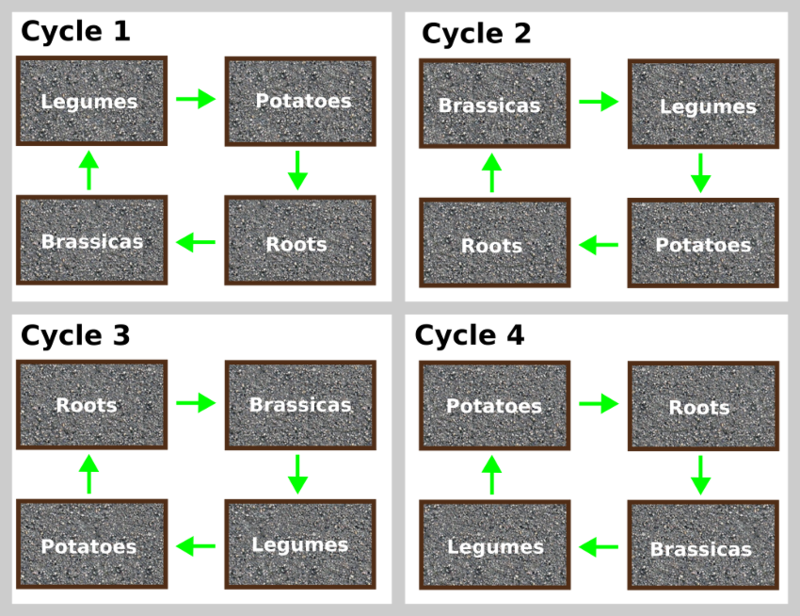 Brassicas in particular will thrive on this extra nitrogen, and so are the best choice to follow legumes in the cycle. Planting roots in the next will use nutrients from the lower layers of soil, while giving the upper levels a chance to recover. Lastly, the digging required to harvest potatoes gives the soil a thorough working over at the end of the cycle, helping it to keep a fine, aerated structure. It also offers an ideal opportunity to dig in some compost or rotted manure before starting the rotation over again. This basic system can be expanded to include fallow years, a green manure group, or extra crops such as grasses and cereals which help strengthen the soil and enrich it with organic matter. However, the basic principle should be to always follow one crop with another crop that has different nutritional needs and a different physical growing style. Another Popular System: This system is almost identical but instead divides the plants into the 4 groups below. The rest of the process is identical. Who Should Use Crop Rotation? Crop rotation can benefit any grower, but it's especially useful for those who want to follow a more natural cycle and minimise the use of chemicals and other intensive methods. It's also good for smaller scale gardeners who want to grow a wide variety of crops in a smaller space. Getting the most out of a small area relies on careful soil care, and crop rotation provides an excellent foundation. Of course, crop rotation isn't for everyone. It takes more planning and knowledge than dousing your soil with fertilisers and pesticides each year to try and maintain growing success. However, if you prefer to use sustainable and natural methods whenever possible, then crop rotation is an essential and effective technique to use.